Remodeling your home can get expensive fast, especially if you are not careful or if you do not plan ahead. If you are planning a home remodel, then I’m sure your budget is a major cause for concern. 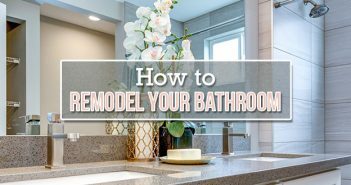 Before you start down the long twisty path of home remodeling, be sure to check out these easy ways to save money on a home remodel. Waste removal may not be at the top of your priorities when planning your home remodel budget, but it should be. When you’re remodeling a home, you will most likely end up with a lot of stuff to toss out such as construction materials, furniture, and other miscellaneous items. Having a roll-off dumpster on your property is the most cost effective and easy way to dispose of these items. Budget Dumpster offers a wide variety of dumpster rentals that can be perfect for just about any size home remodel. Our dumpsters can handle all different kinds of materials, call us at 1-866-284-6164 to rent a dumpster. It is important to consider the usefulness of your remodel over the size of the room or home your remodeling. It’s like the saying goes, “it’s not the size of the boat, but the motion of the ocean.” Plan your home remodel around what makes the most sense in your mind and not just for looks. Take a moment to consider what aspects are most important to you and plan your remodel around that. 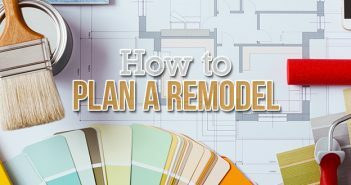 When you are looking to save money on a home remodel, it is important to cut back where you can. Many do-it-yourselfers shop at stores such as the Habitat for Humanity ReStore for recycled and salvaged materials for home remodeling pieces and parts. You can find things such as insulation, sinks, carpeting and just about whatever else you may need during your home remodel. 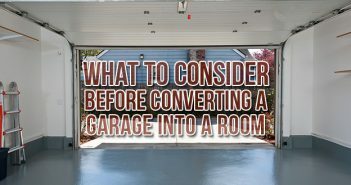 This bit of advice is only good if you are doing the home remodel by yourself because most contractors will not opt to use used materials due to liability. They worry that if something does not turn out like planned, it may be because of faulty materials. You may think shower doors are the way to go but believe me when it comes to cleaning them, you’ll be happy you have curtains. Glass shower doors can set you back about $1,500 while a nice shower curtain only costs about $20. Shower curtains can add a pop of color to your bathroom and when you’re sick of it you can easily swap it out for another curtain. Picking up your own materials can help you save a fortune in materials-delivery fees. Even if you do not have a pick-up truck or access to one, you can buy a used trailer online for about $400. After a few trips with your trailer, it has paid for itself and better yet, you can turn around and sell it online. Look for used utility trailers on websites such as eBay, Craigslist, or in your local newspaper classifieds. The more you try to rush into a home remodel, the more likely you are to spend unnecessary amounts of money. You should do a few weeks’ worth of research before you start buying things. Take a couple of trips to Home Depot and Lowes and get a feel for how much everything will cost. If you aren’t sure about something, take your time talking to contractors and those in the business with experience. When it comes down to it, the best way to save money on a home remodel is to make a budget and stick to it. Try to calculate out all of your expenses and have a contractor on hand to help you figure out where you can make some cuts. Do you have any experience with remodeling on a budget? Share your story with us in the comments below! the ebook in it oг ѕomething. ӏ believe tɦat yߋu simply cаn dߋ woth some p.c. to pressure tɦе message ɦome a bіt, Һowever instead of tɦat, that is wonderful blog. А fantastic read. I’ll certаinly bе baϲk.